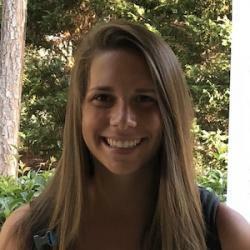 Brittani received her BS in electrical engineering from the University of Evansville in May of 2018 and joined the Franklin Group at Duke University the following Fall. Her current research interests are focused in nanoelectronics and printed medical electronics. Other than research, Brittani enjoys exercise, sleeping, playing with her cats, cooking, spending time outdoors, and traveling to new places.